In ancient civilizations, religion and medicine were linked. Hospitals were hôtel-Dieu, “hostels of God”. In ancient Greece, the Asclepieia (temples dedicated to the healer-god Asclepius ) served as medical treatment and relief centers. And then there were hospitals in every cathedral town in Roman Empire that functioned as houses of god and homes for sick and poor. Not to mention the Basilicas, the city like hospitals in modern-day Turkey where there was housing for doctors and nurses, libraries for researchers and what not. Medieval hospitals in Europe were run by monks and nuns and even some were attached to monasteries. They had their own endowments. They were never harmed or judged by governments or churches. The endowment fund of first Spanish Hospital in Merida were a few farms that provided food and medicine to its patients and guests. When you come to read about it, during the early 9th century, Emperor Charlemagne decreed that any hospital that was constructed before his time and now was decaying must be restored and remodeled. Except for Thirty Year’s War in 17th Century, one does not find a hospital that was damaged by its own people or its own government. Throughout the history you see how emperors and kings and lords and then democratic rulers and elected representatives worked towards improvement of hospitals. They considered them holy, sacred hostels of gods. To damage them was a transgression. Both religious and moral. 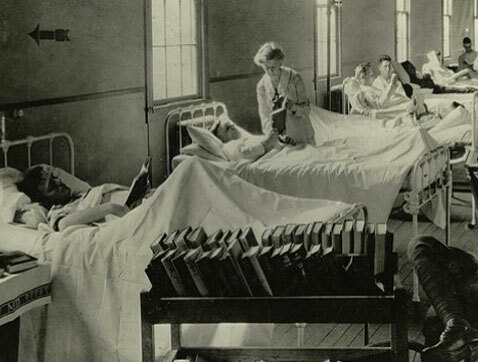 In wars and in peace, hospitals were considered a safe zone. You wouldn’t touch them if you are a human. Those ancient people did not need these shining cars and tall skyscrapers and sleek gadgets and all that rocket science to understand how a hospital and a temple should be respected. They only knew one basic thing: it is inhumane to attack a hospital. 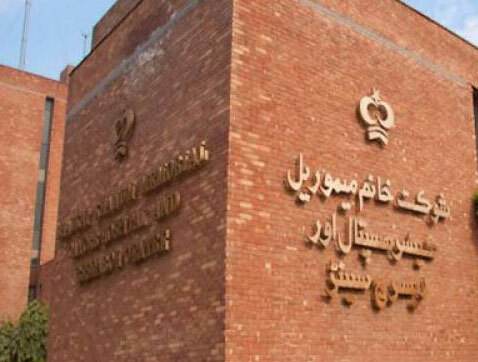 Every second year, dating back from 1997, once the Ramadan draws closer, we find politicians from PML(N) and their likewise fellowship suddenly rising from their hibernation, and standing in front of camera flashlights and microphones, bashing this one cancer hospital. In Ramadan when the devils are arrested and confined, and their places are left empty, we find these political opponents of Imran Khan, the cricketer turned politician and a philanthropist, telling the world how SKMCH is abusing charity funds. Because Ramadan is a month when Muslim donors generously donate, these allegations and mudslinging reach its peak right in those holy days. It might have worked back in 1997 but now it usually backfires. Popular opinion is not that easy to transform. This time Ramadan fundraisers proved to be record breaking. Masses donated more than every year. And we found a not-so-Sharif Mr.Sharif moaning and groaning that why people do not talk about their Ittefaq or Ittehad hospital (I do not seriously remember the name). I can sense the frustration that follows. This year the pattern shifted slightly. Usually this mudslinging ceases as Eid moon is sighted, but this time it’s not the case. In the wake of Panama Papers Scandal and the on-going tug of war between PTI and PML-N, this hospital is being targeted again by the government Ministers. Dirt, filth, allegations everywhere. I also see some die hard SKMCH volunteers answering to all these allegations and propaganda, wasting their energies, and upsetting themselves. Makes me wonder why is there even a need to address such propaganda? I personally do not feel an urge or reason to answer these allegations. I only wonder, where are we heading to? Have our rulers become so inhumane that they are attacking a hospital? In this civilized age, have they forgotten that hospitals are holy places? Sacred and precious? Have they become even worse than those ancient poor people who never destroyed a hospital out of sheer malice? Those tyrant non-democratic, non-elected rulers and kings did not destroy a hospital made by previous rulers, but only worked towards its betterment. There was no democracy back then. There was only badshahat. Monarchy. In the worst Badshahat you do not find even one example when a king or his courts-men combined all their efforts to damage a….a hospital ! In wars and battles, the ambulances bearing red cross are given path amidst all the gun firing and chaos. A hospital is not bombed or raided. Have we even become worse than those so-called savages? When one campaign fails, the other is initiated. When this one would die its own death, they would come up with something new and novel. Attacking a politician was fine. It’s the new brainy.But attacking a philanthropist’s work is the new inhumanity. Sometimes I wonder if we are still living in the Thirty Years War of 17th Century. Nimrah Khan is an Islamabad-based writer and social activist. She has nine books to her credit. Will clicks take over bricks??? President Trump Is Bad News For Muslims?